A video taken by Pondoro guides of the Kudyela pride of lions hunting buffaloes. Southern Africa is at present in the midst of the most severe drought in recorded history. We had some welcoming rains during the beginning of November, but not enough to bring relief and break the depressing drought. All the grazers are suffering and weak. Predators like lions are having a field day and life is easy. They are as close to being fat and out of shape as a wild lion in the bush can be. The lions in this clip are actually hunting 3 different buffaloes. One fell down from exhaustion after trying to chase a lioness away. He was so weak from starvation that the strength to get back up to his feet eluded him. He did not even manage to lift his head again after his fall. The lions that abandoned the poor buffalo belong to a pride called Kuyela’s pride who was the dominant male until about a year ago. He went east due to pressure from rival males, notably the 2 Singwe males and the Mohlabetsi coalition of 8. The male that arrived at the fallen buffalo is one of the Singwe males and the pride left as they are still nervous about his intentions. No solid bond have been created yet. The lions eventually killed this buffalo while the 2 other buffaloes escaped as each subsequent hunt got suspended with the arrival of the Singwe male. He, no doubt was eager to help, but the lionesses were taking no chances. 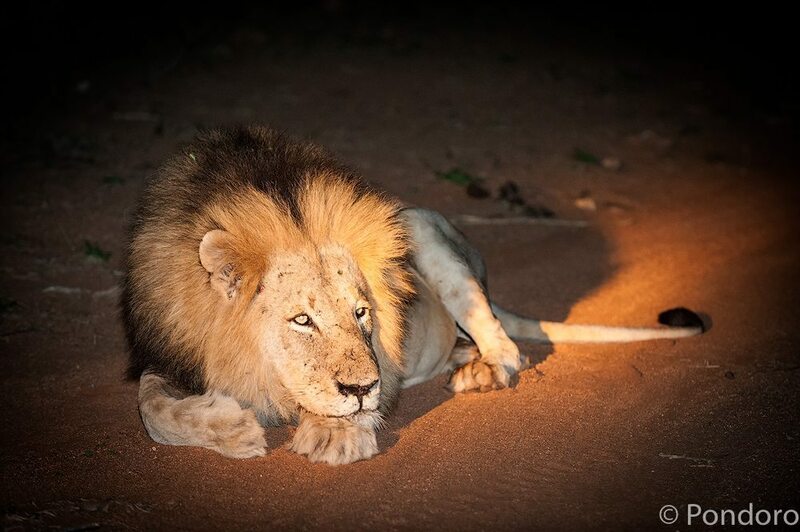 The Singwe male was since seen resting peacefully with Kudyela’s pride. I believe that the final outcome of this relationship is still in the balance as the much larger Mohlabetsi coalition might just have the final say. I cannot believe that they will willingly give up a bounty of 7 lionesses. The 3 adult lionesses of this pride have also been seen mating with the big Mohlabetsi male with one looking pregnant. Interesting times laying ahead.